Like the rest of the Muslims everywhere, I am greatly distressed and saddened by the state of the Muslim Ummah right now. I have been that way ever since I became aware, going back 30 years, what Islam really was – and what our role as Muslims was in this world. 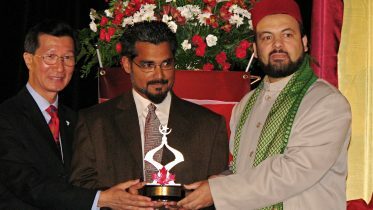 I am deeply pained and embarrassed to say this, but the fact is that the Muslim community in Trinidad has not done much better than most Muslims in so many other parts of the world – even though Allah has given us here in Trinidad such wonderful opportunities to do things differently and better. Trinidad Muslims today, sorry to say this, are in a state of considerable turmoil and confusion on the one hand and apathy and indifference on the other. What is truly sad is that not too many of us seem to understand this fully – or even care about it deeply and personally. Everyone seems to be happy doing their own thing and doing things their own way. Not too many of us seem to be keen on supporting or helping one another – or finding ways to work together for common goals. Some of us with little knowledge of Islam, and even less understanding of the world, seem to be doing a lot of damage to our common social fabric in a multiracial, multicultural society such as ours – and to the long-term interests of Islam and the Muslim community on the island and in the region. Islam in the amateur hands of some of us has become a tool for dividing, distancing and alienating people, rather than for bringing them together on a common platform in a spirit of cooperation and shared human fellowship. If corruption, lack of clear direction and divisiveness are burrowing through our broader body politic, the Muslim community itself is under growing pressure to become more insular, opinionated, narrow-minded, isolationist and divisive. Solutions some of us suggest to some of our problems seem to be worse than the problems themselves. Our leaders generally seem to lack a clear sense of direction, focus and purpose. They are often divided and at loggerheads with one another, even though among them are some really bright, dedicated and sincere individuals who have nothing but a long-standing love of this community and of Islam at heart. I know all of them well and have worked with many of them closely for years – some of them for decades. It hurts me a great deal to see the present condition of infighting and ineffectiveness in which we have descended. The community as a whole appears confused as to what its proper role is in society. Many are asking what exactly Islam means in this time and age, in a multiracial and multiethnic society like Trinidad, especially in a post-Nine-Eleven world. Instead of being a solution to the problems of others, as was expected of them, Muslims themselves appear to be licking their wounds and sulking in small corners. They seem, by and large, unable to forge a coalition of the willing and the able (if I may borrow part of that phrase from a former American President Mr. George Bush) among a wide range of the fellow-faithful working in concert to usher in a better society for all of Trinidad. Crime is on the rise in society, reaching alarming and completely unacceptable levels, and Muslims are busy fighting among themselves. Unwed pregnancies have reached unprecedented levels throughout society, and AIDS is eating away our people, and Muslims are busy mudslinging on one another. Men in all of society, instead of being the champions and protectors of women – as their creator meant and ordained them to be – have become their exploiters and abusers, and Muslims are busy fiddling in remote regions of their own choosing. Poverty, disease, lack of security and social problems plague society, and Muslims are far from playing a serious and effective role in addressing these issues. By and large, Muslim concerns, issues and preoccupations seem to have very little to do with the broader social issues that agitate and concern society today. The Muslim community seems to have very little interest in the fate of the ship – our larger Trinidad and Tobago society as a whole – on which they have been placed as passengers of some importance by Allah. It is sad; it is heartbreaking; but it is true. At a time like this, the world has a right to look to the Muslims for answers and solutions – and for leadership. After all, Allah created them as a solution to the problems of the world. That is what it means to be working for Allah – to work to solve the problems of the world. To work to make this world a better place for all its inhabitants. But the tragedy is that Muslims themselves appear to have a noticeable lack of solutions in their pocket, either to their own or to other people’s problems. What is worse, Muslims do not even appear to have a firm handle on what the real, the right and the important questions and problems of the day are, leave alone make a concerted effort to solve them. That is how lacking the Muslims’ understanding of the world and its affairs seem to be these days! Muslims of Trinidad – and Muslims everywhere – need to reassess their role in society. 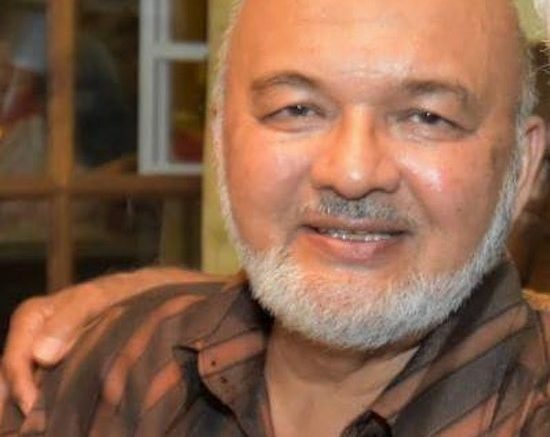 Muslims must realise that Allah did not make them and place them in Trinidad – and elsewhere – to attack, fight and destroy one another and to turn their back on the society when society appears to need them most. Instead He made them and placed them in their respective societies to work for Him in those societies – with the people in whose midst they find themselves. This has been the tradition of the prophets and messengers of Allah from time immemorial. It is my hope that Muslims of Trinidad, and Muslims everywhere, understand in a big and clear way that Allah made them, and stationed them in their respective parts of the world, so they would all work for Him with the greatest sincerity, devotion and togetherness. Allah made Muslims of Trinidad and Tobago members of a free, democratic, affluent, and literate society so that they themselves would be the best people that they could be, and so that they would, at the same time, help the entire society to know Allah, to love Him, to understand His Deen and to work for Him. Li-Takoonoo Shuha-daa-a ‘Alan-Naasi wa Yakoonar-Rasoolu ‘Alaikum Shaheedaa (2:143). So that you can be the witnesses and standard for The People and the Rasul, Sallallahu Alaihi wa Sallam, can be the witness and standard for you (Dr. Pasha’s translation). Islam means working for Allah, and in turn that means working for the best interests of the people in whose midst you live as well as globally. There should be no doubt in our minds that we cannot love Allah without loving Allah’s people on earth. And that we cannot work for Allah as his slaves without slaving, at the same time, in the service of his people – that is, without working for the welfare of the people in both their Deen and their Dunya. That is, without working to make their life a good one in this as well as in the next world. And may Allah help Muslims in Trinidad and Tobago – and elsewhere – to see their role in society clearly and enable them to rise to the highest levels of their responsibility in our own society and in the world. For, it was for that purpose that God created us in the first place: To Work for Him! Wa Lidhaalika Khalaqahum [and for that He created them] (11:119). Be the first to comment on "Muslims need to reassess their role in society."